Moneycation: What is tenancy deposit protection? The Tenancy Deposit Protection (TDP) is a law that was passed on the 6th of April 2007 and forms part of the Housing Act of 2004. The reason that this law was passed was to safeguard tenants when a deposit is taken from a landlord. The law requires all deposits taken for assured shorthold tenancies in England and Wales from the 6th of April 2007 to be protected in a government-authorised deposit protection scheme. There are two types of TDP schemes available, these are custodial and insurance based. All landlords are able to use the custodial scheme, however there are some restrictions with regards to who can use the insurance based schemes. When the tenancy agreement has ended, the tenant can expect a decision to be made on how much of their deposit will be returned within 10 days of the end of the tenancy. If any amount is held back it will remain protected by the scheme until any disputes are resolved. Under the custodial scheme, the Deposit Protection Service (DPS) holds the deposited money in a bank account and when the tenancy ends the deposit is released and returned to the persons. If you are a tenant who has a landlord which lives abroad, it is important that the custodial DPS scheme is used unless a UK based letting manages the tenancy. 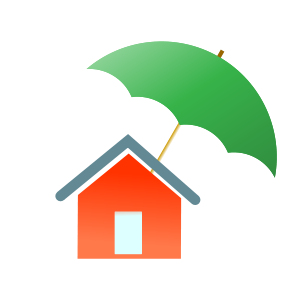 With insurance based schemes the landlords or agent holds the tenant's deposit. They are required to pay a fee to insure the deposit, if the landlord then fails to pay the tenant the correct amount at the end of the tenancy agreement the insurer will have to pay the tenant. This will then leave the insurer in the position of trying to get the money from the landlord. It is not against the law for landlords to request a deposit from a tenant but it is not a requirement either. If the landlord does require a deposit it should be monetary and must be protected in a government authorized scheme. The landlord should be under no illusion that they can take deposits without using the correct scheme as this would be breaking the law. More and more often the courts are finding that landlords are claiming to have not taken a deposit when they actually have and are breaking the law. Do TDP schemes cover holding deposits? This is a common misconception, the answer to this question is no. Tenants are able to pay the landlord a holding deposit before they have signed the rental agreement. The landlord is not required to protect the holding deposit with any sort of scheme before that person has officially become a tenant. This changes once they officially become the landlords tenant, then the deposit becomes a deposit that must be protected by a scheme. If a landlord is renting a property to students then they must protect their deposits using a TDP scheme if they have an assured shorthold tenancy, or the landlord has received their deposits on or after the 6th of April 2007. Even if the student’s deposits were paid for by their parents or any other third party the deposits should be protected in the same way. There are many things to consider, whether you are a landlord or a tenant and there are many laws a regulations involved. If you are a landlord it is always a good idea to have landlords insurance. If you are a tenant you should always make sure you have a tenancy agreement and that you are clear about who is holding your deposit.